IT took just 48 hours for an Alphington townhouse development to sell twice the number of homes they had available at the weekend. 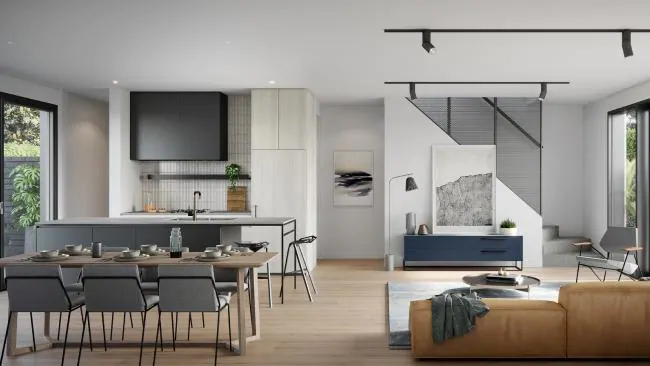 The launch of The Mills townhouses at the YarraBend development by Glenvill was planned to offer 19 properties to buyers at its November 18 launch. But the number got a drastic upgrade when more than 40 buyers registered. In total 41 townhouses at the former Amcor paper mills site were sold for a combined figure north of $42 million by the end of Sunday. Among the buyers was Rod Chapman, whose father, grandfather and several great uncles, worked for the mills. 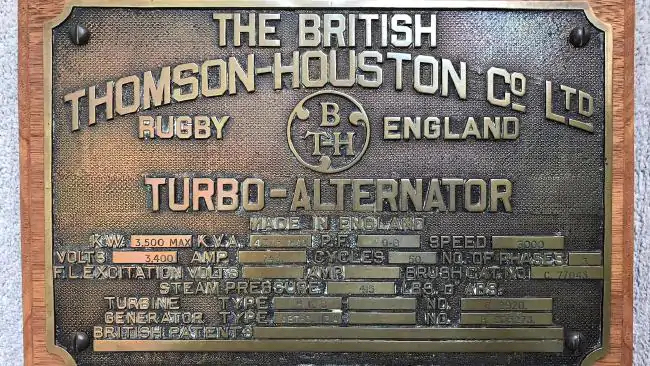 Mr Chapman said he will bring his own unique piece of the sites history to his future home, with plans to decorate it with a plaque from the old power turbines that was gifted to his father on his retirement. “My father started there in his 20s and worked there until he retired in his 60s,” he said. The power turbine building, where Mr Chapman’s father worked, will be among the last buildings at the site to be demolished to make way for the 16ha, 2500 residence development by Glenvill. But it wasn’t nostalgia that drew him. “We were looking to downsize and go a bit more maintenance free,” he said. He added that an up to 2.5 year wait would provide time for himself and wife Cornelia to say goodbye to the kangaroos that frequented their current neighbourhood in Diamond Creek. The development’s earlier releases as part of its first precinct, Parkside, had previously attracted strong interest from local buyers but the weekend’s sales were a standout, according to Glenvill sales and marketing director Ash Bramich. 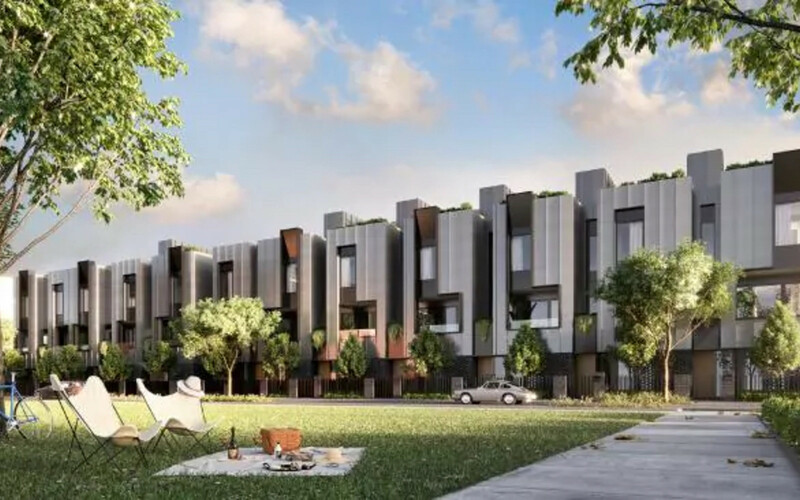 “We were expecting good buyer appetite, particularly off the back of our launch last year of the townhouses in the Parkview precinct,” Mr Bramich said. The number of buyers that arrived on the day prompted them to fast track an additional 20 townhouses to sell on the November 18 launch. A further two were sold the following day. Mr Bramich said he had been surprised to see a broad range of interest, including first-home buyers comprising professional couples despite prices on the day ranging from $880,000 to $1.5 million. A strong preference for three-bedroom townhouses has prompted them to revise their original plans for The Mills, and they are aiming to convert a number of the planned two-bedroom residences to three-bedroom offerings. “We are going to get the plans revised to have more three bedrooms made available,” he said.